Back in April, Kendrick Lamar announced a tour to support his latest chart-topping platinum album, DAMN. Today, his fans receive better news as the rapper announce more dates for a second leg & adds West Coast rapper YG to the line-up for the later dates. The new cities include Miami, Newark, NJ, Tampa, Kansas City, & more. Check out the new dates below! 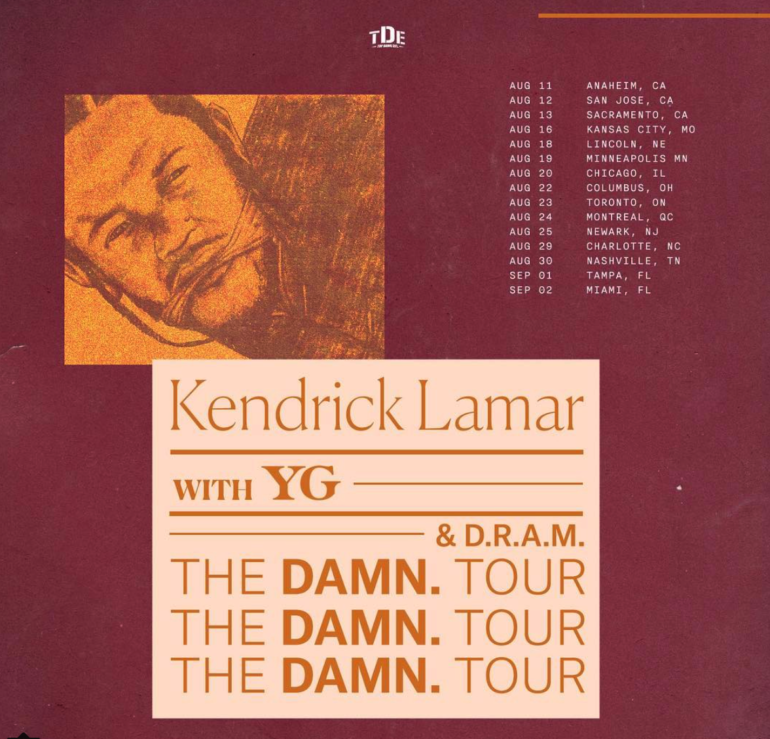 Dates & YG & D.R.A.M. New Music: David Banner Ft. Raheem DeVaughn & CeeLo - "Magnolia"